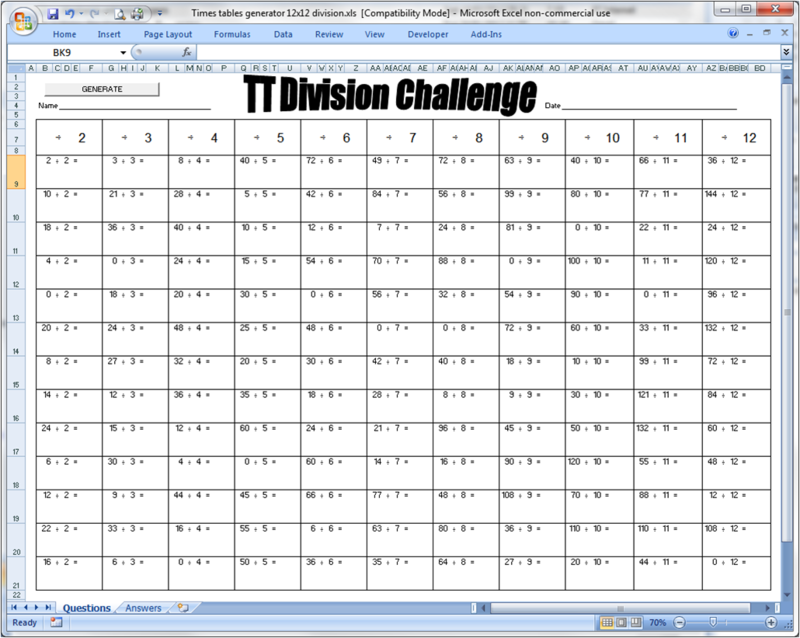 I recently made available a free Excel-based Times Table Challenge tool for those of us with kids to help them learn their tables. Today, I'm posting a sequel. 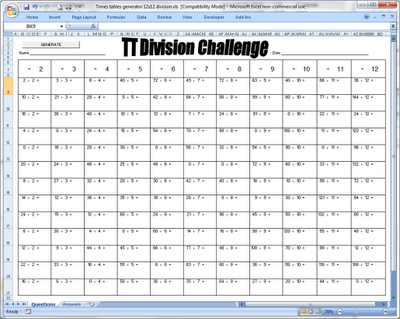 This one works alongside the original but focuses on division rather than multiplication. As before, there's a button to generate a new random exercise instantly, and the 'Answers' tab so you can print off the marking guide each time too if you are a bad busy parent.